3x01 The Birthday. . HD Wallpaper and background images in the The Vampire Diaries club tagged: the vampire diaries season 3 the birthday. 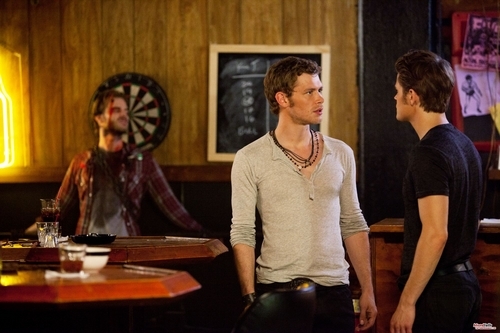 This The Vampire Diaries photo contains birreria, brasserie, bistro, and tavolo da pranzo. There might also be ristorante, mangiare, mangiare posto, casa, eating place, eatery, sala riunioni, and sala consiliare.